Digerati and Laser Guided Games have announced that Golem Gates will release on Nintendo Switch next month, a post-apocalyptic sci-fi action-strategy card battler. With an ancient evil surging from the Golem Gates, as the Harbinger you must wield the nanite-infused power of The Ash to conjure armies to fight back against the otherworldly forces. That will see you choose from 100 cards, referred to as Glyphs, to summon units, buildings, traps, buffs, debuffs, and techs to your side – adapting to defend, flank, or fortify your position. 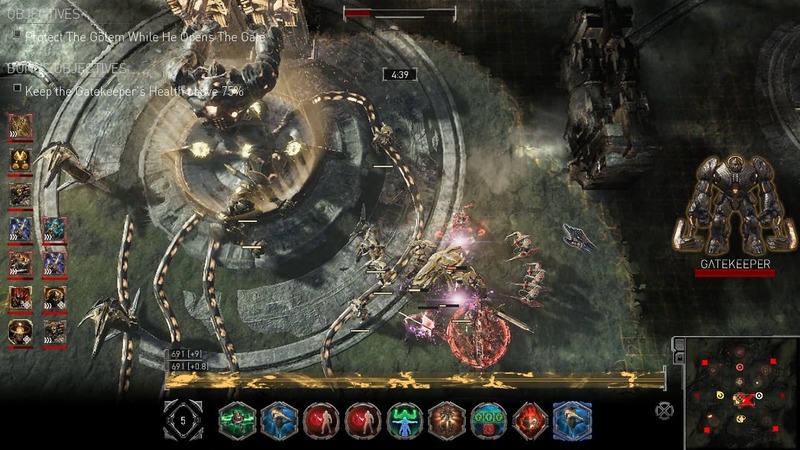 Aside from the single-player campaign, you can sink more time into challenge scenarios, a solo (or co-op) survival mode, as well as local and online multiplayer. Golem Gates will release on the Nintendo eShop for Nintendo Switch worldwide in April.